Wipro Freshers Walkin Recruitment On 4th & 5th August 2016 - Noida. 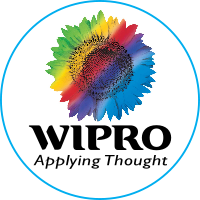 Wipro Freshers Walkin Recruitment On 4th & 5th August 2016 - Noida. Freshers Jobs At Wipro For The Position Of Associate. Wipro Hiring Freshers 2016-2017. Freshers Walkins At Wipro Noida. Should have excellent command over English. Chances to move into Wipro technologies or other division of wipro after 18 months through internal job postings. Write RUPSHIKHA RAY on top of your resume. 0 on: "Wipro Freshers Walkin Recruitment On 4th & 5th August 2016 - Noida."